Rigorous curriculum design grounded in sound pedagogy is a cornerstone of successful learning, in both online and offline settings. 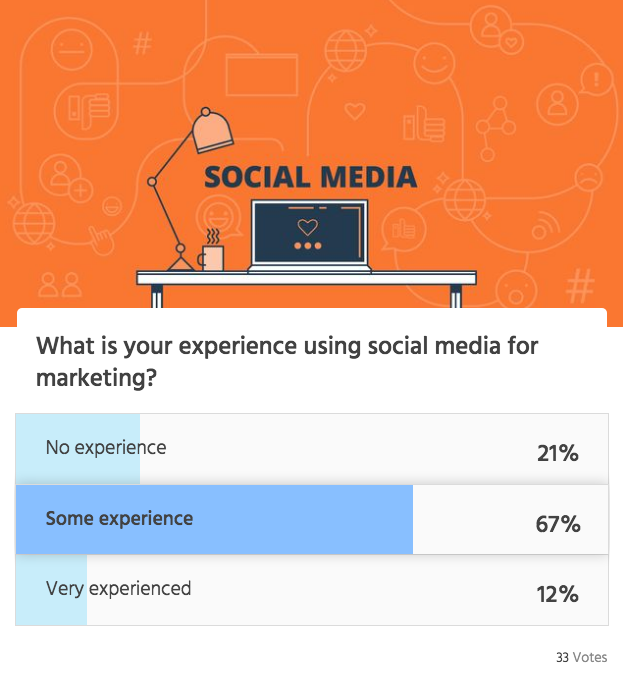 The online space provides a unique challenge, however, in that the curriculum designer will often be relatively detached from the student and, on a practical level, must rely on intuition and learning analytics to craft the best possible learning experience. In this context, a sound theoretical framework for design becomes distinctly useful. The chosen framework for many learning and instructional designers, and for GetSmarter, is Bloom’s Taxonomy. Bloom’s Revised Taxonomy is a pedagogical tool that uses verbs to define learning outcomes at both the course and module level. It is based on a constructivist approach to learning, which emphasises the importance of building knowledge and skills through “doing”. Bloom’s Revised Taxonomy is best understood as a pyramid, with the top levels being the highest order of metacognitive skills. The pyramid analogy reinforces a core assumption of Bloom’s, which is that lower-level skills are a broad foundation upon which more advanced and specialised skills can be built. The levels of Bloom’s are, from bottom to top, Remember, Understand, Apply, Analyse, Evaluate, and Create. Each level has a series of corresponding verbs that can be used to articulate clear and specific learning outcomes. 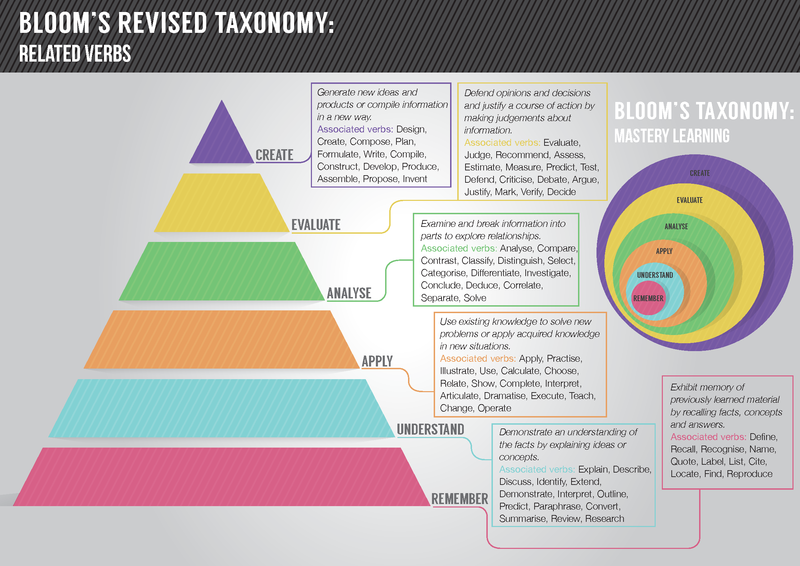 In this three-part blog series, we will unpack how Bloom’s Taxonomy can be best applied to online course design, and why it is often the pedagogical tool of choice. The constructivist approach advocates a majority interactive approach to learning, with only minimal emphasis on didactic tools, allowing students to explore and learn through active application of new knowledge and skills in creative ways. Where possible, even the didactic elements can be made interactive, where possible. This is especially true in online learning, where interactive videos and notes are a possibility. Figure 2: An example of a poll that can be used to add an interactive element to a set of notes. While traditional methods of education emphasise didactic instruction and written assessment – consider the “sage on the stage” approach still common in most universities – a constructivist approach favours students learning through doing and interacting with each other. For this reason, Create is at the top of the Bloom’s pyramid. The goal of this approach, also referred to as “scaffolding”, is to build knowledge and skills in the student by working through the levels of Bloom’s, until they can produce new or original work. When a student is able to create an artefact – for example, write an essay or proposal, create a program, or plan a strategy – they are then understood to have gained that competency, or achieved that course’s exit-level outcome. Remember the notes that make up the musical scales. Understand how the notes are grouped together to form patterns and scales. Apply the theory by learning to play the notes in order as scales. Analyse a piece of music to see how the notes fit together to make a melody. Evaluate a piece of music to see where notes can be changed to improve the melody. In this way, the student is “scaffolded” towards being able to play the guitar and write a song. So, in order to understand how musical notes are grouped together to form patterns, students must first remember what these notes are. Then, to apply this theory, they need not only remember but also understand how notes are grouped together to form music. This continues on to the create level, with each level assuming a grasp of the previous one. This is central to effective scaffolding. Constructivism underpins GetSmarter’s learning design approach, and one way to achieve this kind of learning environment online is to put an emphasis on collaboration, usually in small group discussion forums or, where possible, in real-time live chat rooms or Google Hangouts. The reason for this is that constructivist learning approaches are aided through social interaction. Collaboration or cooperation in groups allows students to aid each other’s learning by filling knowledge gaps, encouraging each other, and solving problems together. Importantly, this also helps to remove the element of isolation from the online learning experience by creating engaged learning communities. Returning to our musical analogy, a student learning to play an instrument could teach themselves the basics alone at home. But, when you place that student in a room with another amateur musician, they can have fun while making music together and learn from each other. Remember: Define, recall, recognise, name, quote, label, list, cite, locate, find, and reproduce. Understand: Explain, describe, discuss, identify, extend, demonstrate, interpret, outline, predict, paraphrase, convert, summarise, review, and research. The purpose of these base verbs is usually to provide students with, and have them demonstrate a knowledge of, particular facts or theories. Usually, these levels of Bloom’s are conveyed didactically and are tested using quizzes and written assignments. For example, at the level of Remember, a student might be required to “recall the role of a facilities manager in a small office setting”. This could be explained in a set of notes. In a subsequent assessment, they may be asked to identify the definition of “facilities manager” in a multiple choice quiz. At the Understand level, the student may need to “describe the main responsibilities of a facilities manager”, in which case the assessment would be more detailed, such as a written submission. In this way, the associated verbs in Bloom’s Taxonomy can be used to guide the learning and assessment of students in online course design. Part 2 of this blog series will discuss the Analyse and Apply levels in more detail. In this second part, we will begin to explore the next two levels of Bloom’s Taxonomy, the Apply and Analyse levels.